People are imagining how Sean Spicer would defend movie villains and it’s way too real. 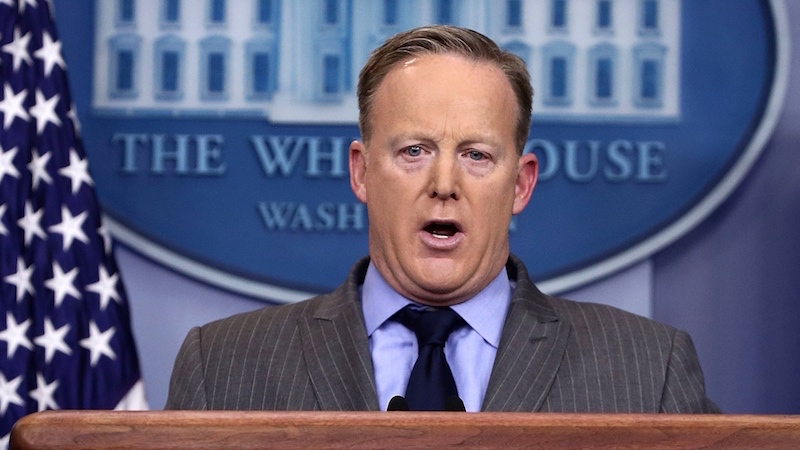 Sean "Spicey" Spicer, as the White House press secretary, spins facts so frequently it's a marvel that we haven't all turned into froth. From "alternative facts" on the inauguration crowd to his regular freakouts on the nature of truth, Spicer's job is to defend President Donald Trump against the threats of truth. Twitter had some fun getting into Sean Spicer's head with the hashtag #SpicerSpinsMoviePlots, applying the Spicey spin machine to beloved films. They're so funny, even Sean Spicer will spit out his gum. 1. Do or do not. There is no truth. 3. No one is alone. 4. It's not an E.T. ban. 7. Are they friends of yours? Another example of the Libtard, radical, leftist, dishonest media disseminating more fake news. 9. The hunter was Donald Jr.
11. It's the circle of life. 13. This tweet belongs in a museum.